The XILS 3 is a virtual instrument based on the architecture of a classic matrix based modular synthesizer. Matrix connection brings modularity and sound design to a new dimension. More than 450 connections (audio signal, controls signal, trig signals) are available on the XILS 3, much more than any other type of modular synthesizer! Easy to connect, easy to modify, easy to see, the matrix is far and away the easiest way to connect modules to each other. To bring an ergonomic approach to sound design, the XILS 3ï¿½s matrix and the sequencer get their own presets, providing the user with flexible sound management options. Although the XILS 3 is an instrument, you can also use it as a powerful and versatile effects processor. Two mono inputs can be modified, modulated, or used as modulator source or trig source, thanks to four input modules: gate, envelope follower, pitch tracker and transient tracker. The XILS 3 comes with hundreds of presets that provide instant access to a broad range of soundsï¿½ and styles ranging from modern electronica to classic 1970s retro and experimental. 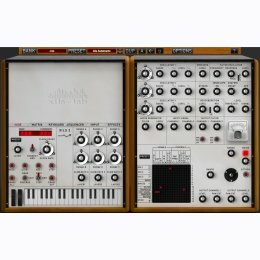 You can also program it yourself to create your own unique sounds! XILS 3 is iLok or eLicenser protected: YOU NEED EITHER AN ILOK OR ELICENSER DONGLE TO AUTHORIZE XILS 3 !! !